Revolutionary Technology Whey might not be the best powder ever, but it is probably the best one on the current market. There are just WAY too many whey protein products out there. It’s crazy. Twenty years ago, there were maybe a dozen decent ones. 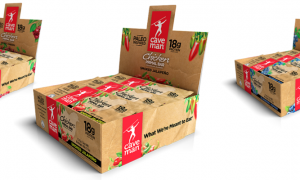 Fast forward to now, and you can find plenty of options at your local grocery store. Although to be fair, department store supplements are usually best to stay away from. Everyone has their favorites. Some prefer Optimum Nutrition “Gold Standard”, others like Dymatize “ISO-100”, and so on and so on it goes. They all are kind of the same thing, which is whey protein isolate, whey protein concentrate, and a litany of preservatives. Optimum is a solid go-to for many because it is inexpensive and doesn’t have a very long list of ingredients, so there is at least the feeling it is more “natural”, or whatever that means. But it is a very good protein supplement, no doubt about it. What makes Revolutionary Technology Whey (or “Rev Tech”) popular is the promise of easy digestion, particularly in the brand’s “Bionic Edge” product. This is supposed to be the separation point between this and other competing whey proteins, as most of them contain around the same 24 g or so of pro per serving. Getting back to that whole easy digestion thing, the Bionic Edge Whey showcases a “digestive enzyme complex” called “Stevizyme”, which is really just a way for the marketers over there to slyly tell you that Stevia is the sweetener. Some people really believe in Stevia, some don’t. Either way, Stevizyme features protease 1 and protease 2. What is protease exactly? It is an enzyme that aids in the breaking down of protein, and is commonly found in pineapple (can you say bromelain?). In other words, humans need protease to properly digest hard proteins because without it, your stomach would turn inside out and your intestines would give you the middle finger repeatedly. There are actual medical benefits to proteolytic enzymes, and far too many to list here. 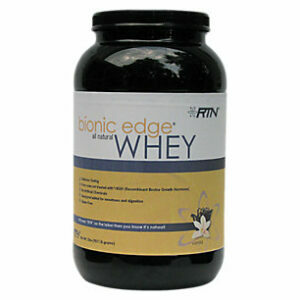 So the question is, does Rev Tech Bionic Edge Whey really make digestion easier? The answer, if you believe the ingredients list, is “yes.” All of the scientific evidence available points to protease being an important digestive aid, so it is certainly reasonable to figure that it would serve as a useful component in a protein powder. For anecdotal evidence, I have to say that Bionic Edge does perform as advertised. When I use it, I experience zero bloating or any gastrointestinal complications of any kind. It goes down nice and smooth. If I am going to supplement with a whey protein, the last thing I want is to feel dragged down by the cavalcade of preservatives and the very least, Bionic Edge doesn’t let that happen. Price tag is the main issue. Revolutionary Technology Whey, whichever off-shoot of the brand, is a little pricey compared to your Optimums or Muscle Pharms. Not by a whole lot, but by enough. We’ll call it a $10-$20 difference, which is kind of a steep price if you’re going by percentages. The average online price sits at around $45 for the two pound container. The ten pound option will cost you around a million dollars more than that (not really, but you get the point). If you are strapped for cash, Optimum or any of the other more common varieties of whey can give you the same protein quality at a significantly lower price. The one wrinkle is the Bionic Edge NF, which has the protease without the needless Stevia plus a BCAA blend (L-Leucine, L-isoleucine, L-Valine). 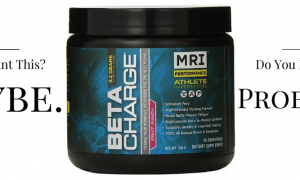 So, if you trust this infusion of amino acids, it is a pretty good deal because you can save on purchasing a BCAA on the side. Whatever. As for flavors, the regular Bionic Edge is only available online in vanilla, but chocolate is the one you want. The chocolate Revolutionary Technology Whey tastes just like cocoa powder; if you are willing to mix it with hot water it is outstanding. It is 110% worth it if you are the type who is sensitive to all of the hard ingredients found in typical wheys. There are just too many athletes who complain about the bloating and discomfort associated with protein supplements and it is clear that Rev Tech makes this a focus. You can take my word (for what it is worth) that I have tried about three dozen whey powders in my life and this one by far has been the easiest to drink. 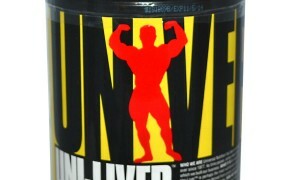 But if you are just looking for a whey that gets the job done, save your money. It isn’t as if the quality of protein is just so dramatically different from one brand to the next (although some companies are now only using whey derived from non-GH’ed cows). If you’re curious enough to try it out, awesome. If not, you’ll be fine with the protein you already have in your cabinet.